After watching "The Amazing Spider Man", the first thing I wanted to do was punch Sony in the face. No really, I even Tweeted about it. Right now you might be asking why I would say/Tweet something like that. Well, you know those movies that start out with some crazy scene that doesn't make a whole lot of sense in that moment, but then the movie takes you back in time and begins telling you how what you just saw is ultimately the culmination of the entire story? 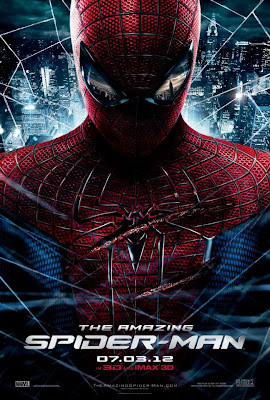 Hopefully you are all familiar with the three previous Spider Man movies that were all directed by Sam Raimi and starred Toby McGuire, Kirsten Dunst, and James Franco and, at the time, were the benchmark of how comic book movies should be made. Raimi was universe building way before Marvel decided to start preparing for The Avengers as he was able to fill his movies with references to places, characters, and events from the history of the web crawlers comic books that may or may not get fleshed out down the road. It was all brilliantly set up for a long run of movies that would go way beyond being a trilogy while having longevity more similar to the Harry Potter and James bond franchises. Check out this awesome six minute video that covers all three movies! By the time the third installment went in to production, Spider Man had become a huge success with fans while also breaking box office records left and right. 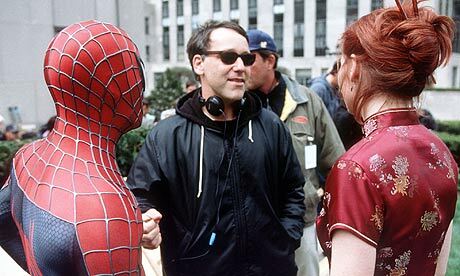 Of course, the huge pile of cash rolling in caught the eye of Columbia Pictures/Sony Pictures executives who figured they would personally see to making that pile of cash even bigger by giving Sam Raimi advice (see: forcing their ideas on him) on how to turn Spider Man 3 in to the biggest blockbuster yet. The biggest "contribution" that was made by the studio heads was adding fan favorite villain Venom in to a movie that really didn't need another antagonist. 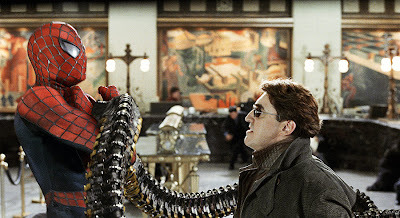 The writers had already crafted a very solid story featuring both the emergence of the Sandman as well as continuing the Harry Osborn story arc that had been building over the first two films. Raimi did move forward with the Venom injected movie and it eventually debuted to huge opening weekend numbers, but both critics and fans expressed their disappointment in a jumbled story that didn't work nearly as well as the previous two films. The movie quickly fell off the radar, but was still deemed a financial success so plans immediately began moving forward to start making a fourth installment. 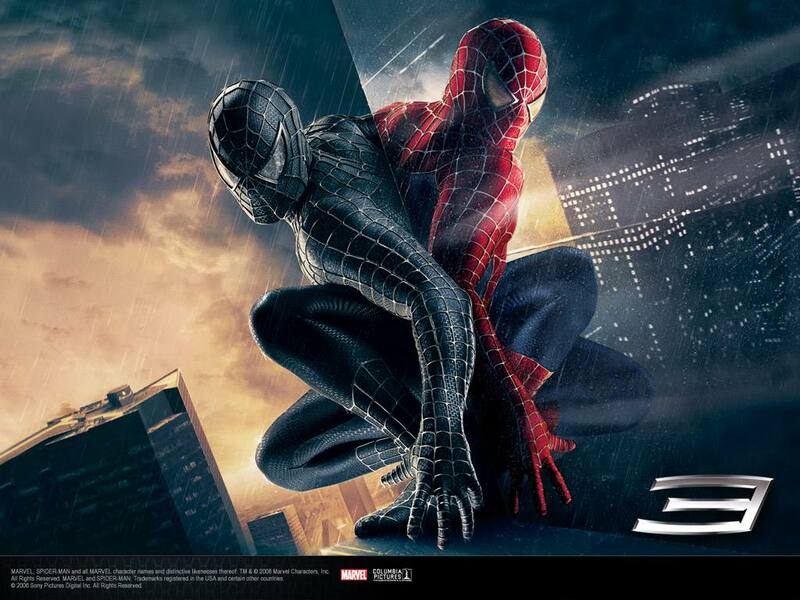 Once again, the suits decided to get involved in the creative process and, this time, both the director and star Toby Maguire decided they had had enough and walked away from the project which killed any idea of continuing the franchise in its current state. What made this even more significant in the grand scheme of things was that Sony was now on the clock to get another Spider Man movie released or else the rights to the franchise would revert back to Marvel/Disney Studios. 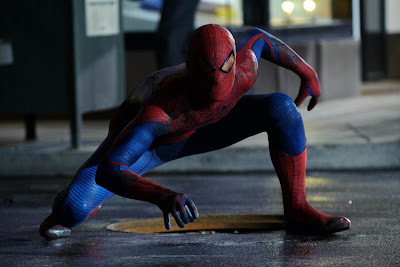 With a plan in place to get a movie out as fast as possible to preserve their cash cow, director Marc Webb was brought in to create a whole new version of the character complete with a new origin story and a directive to make the movie different enough to justify a reboot to fans and critics that still had the previous films fresh in their collective memory. The new Spider Man story should also be made to directly appeal to the teenage audience that had recently been shelling out huge amounts of cash to see the Twilight and Harry Potter movies. Ironically, a 28 year old Andrew Garfield was brought in to play a teenage Peter Parker and a story line was created that would explore how the boy's parents actually had a major influence on him becoming the friendly neighborhood wall crawler instead of it being a freak accident. The irony continues as Sony executives rejected this concept even as production on the film was already in progress. Last minute changes were made creating a really weird dynamic that has story elements being brought up and then never resolved or even referenced again. 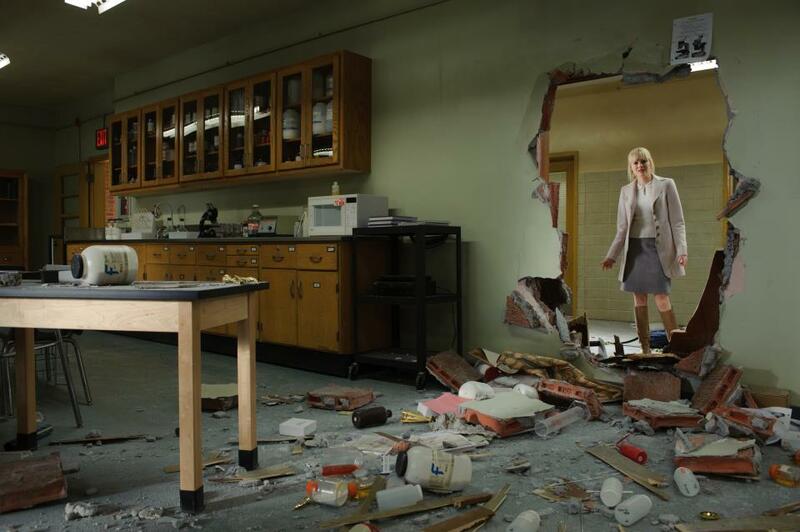 We do get to see Emma Stone play Peter's love interest Gwen Stacey and she does her usual remarkable job being the beautiful and engaging person that she is. I have really grown to like her as an actress although the love story that plays out in the movie is more fitting for an intimate romantic drama rather than a big time comic book adventure. The moments that Peter and Gwen share feel very natural and real, but at the same time feel awkwardly out of place. Basically I feel like the strengths that Garfield and Stone bring to the table as actors are wasted on a movie that should have more of a focus on being adventurous and whimsical. This idea is what Raimi completely understood about the dynamics of a comic book movie rather than trying to recreate the emo fueled teen angst that I guess is so prevalent in the Twilight movies. Peter's Uncle Ben and Aunt May are, this time around, brought to the screen by Martin Sheen and Sally Fields respectively. I feel like Sheen absolutely nailed the character of Ben Parker and is my favorite out of anyone in the movie while Fields was a terrible choice to play a character that had previously been perfected by Rosemary Harris. 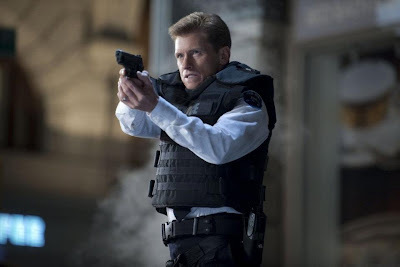 Dennis Leary gets to play the role of Gwen's father Captain Stacy and for some reason Rhys Ifans was cast as Dr. Curt Connors who transforms himself in to the lizard and becomes the misguided villain. Overall the story is just a mess with an origin that veers way too far from the original source material and takes way too long to play out. The villain is not interesting at all, Garfield just doesn't seem right as Peter Parker, and what was supposed to be an exciting conclusion falls apart and becomes so laughable that you are not even sure why any of the characters are doing what they are doing. There's one particular scene involving construction cranes that was meant to have a big emotional payoff and define Spidey as a hero of the people but it ended up feeling just unnecessary and weird. All I could do was sit there shaking my head at the nonsense happening on the screen in front of me. As the credits began to roll and the overall stupidity of the movie I just saw began to sink in, I actually became mad that this was what Spider Man had become. Gone were the playful character interactions, exciting super hero action sequences, and cool villains that were just as awesomely villainous as they were misguided anti heroes. In its place was a terrible mess of a story that didn't make any sense at all and, other than a couple brief moments, completely failed to entertain. How does something like this happen? As I got up and walked out of the theater, the first thing I wanted to do was punch Sony in the face. I was really hoping that Sony would see the massive pile of spider poop they have brought to what should be a truly epic franchise and either decide to reboot again, or ideally just give up on the character altogether and put it back in the capable hands of Marvel Studios. 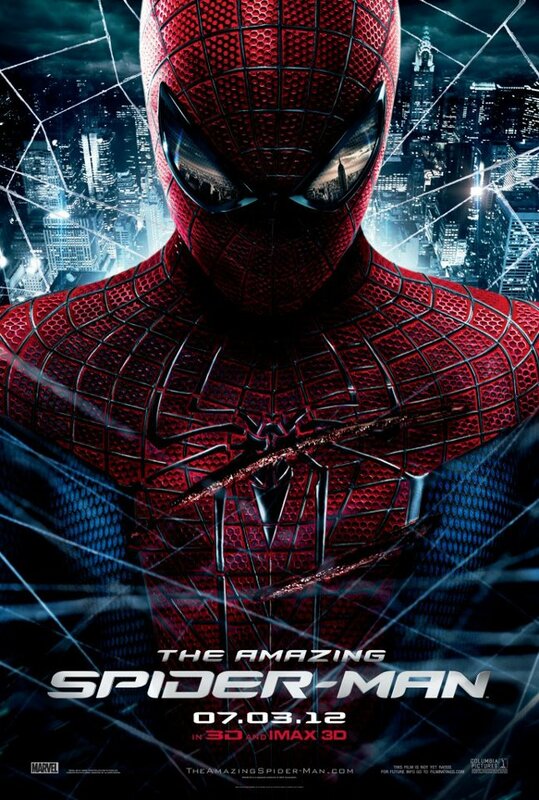 Unfortunately, the opening week box office numbers have inspired the studio executives to announce that "The Amazing Spider Man" is now the first installment of a trilogy. It was also announced that director Marc Webb will not be back due to creative differences (oh, the irony!). Thank GOD some one else doesn't think this movie is as good as the critics are saying, I sat there last night and was just kinda bored, it was so mediocre, the only thing I liked about it was Garfield as Peter Parker and Emma Stone I thought they actually had great chemistry though I wish that they had explained what she saw in him, and what a way to waste Denis Leary. Good flick but something just felt like it was missing in order for me to feel the same way I did with the Raimi original series. Maybe it was the fact that this flick took its premise very seriously, and the other ones were very jokey and fun. Still, a good time at the theater is a good time none the less. Nice review Marc. I'm so glad I didn't see it now after reading this review!